“Fifty years ago evangelicals in Germany formed what became known as the Confessing Church. They opposed the German Christian Church Movement sponsored by the Nazis between 1933 and 1945. As Nazi dominance increased, the Confessing Church was forced underground. In 1935 the Confessing Church formed a preachers’ seminary near Zingst on the Baltic Sea, which soon moved to Finkenwalde. The principal and main teacher of the 25 students was Dietrich Bonhoeffer, a 29-year-old pastor and university professor from Berlin. Bonhoeffer led the students in a disciplined life together that included daily prayers, meditation, worship, study, recreation, and work. All the seminarians knew they lived on the edge of eternity in those frightening days. In September 1937 the seminary was closed by the Nazi police, and in November the seminarians were put under arrest. That same year Bonhoeffer published a book entitled, The Cost of Discipleship, and in September of 1938 put in book form the lessons of Finkenwalde entitled, Life Together. Here we have insights into how to be Christians in a community when life is being lived on the brink. In March 1943 Bonhoeffer participated in an attempt to assassinate Adolf Hitler. He was arrested April 5, and two years later, April 9, 1945, Bonhoeffer was hanged by the Gestapo in the Flossenberg concentration camp at the age of 39. Bonhoeffer’s little book, Life Together, is a word for our times because we are plagued in America by a kind of laissez faire Christianity that lacks the vigorous camaraderie and discipline that unites a kingdom in wartime. We don’t have a wartime mentality and therefore our young men and women do not gather late at night in basement rooms and plot their strategies to detonate Satan’s bridgehead and liberate some of his captives. We don’t see ourselves as insurgents in the alien territory of sin planting explosives of righteousness and truth at every fortified wall; and so our eyes don’t meet with a flame of eternal friendship on Nicollet Mall and say without a word amid a thousand aliens: “You and I will die for this cause and join hands in the resurrection.” We don’t feel like a fifth column devoted with all our strength to sabotage the rule of Satan in this world; and therefore our life together is not intense but petty. There are no coded handshakes of joy, or secret passwords. And there are few tearful embraces and songs of thanks because a squad of witnesses has returned safely even bringing some liberated captives home. Bonhoeffer’s words about “life together” have the ring of authenticity for us because they were written not at the nerve center of comfort but on the brink. They have the taste of radical commitment that all of us dream about, many of us crave, and only a few pursue. If somebody asks [a Christian], Where is your salvation, your righteousness? he can never point to himself. He points to the Word of God in Jesus Christ, which assures him of salvation and righteousness. He is as alert as possible to this Word. Because he daily hungers and thirsts for righteousness, he daily desires the redeeming Word . . . The physical presence of our brothers and sisters in Jesus should bring incomparable joy and strength to us. That subject of Christian fellowship was dear to the heart of Bonhoeffer. He knew that if Christians experienced genuine fellowship, that would impact both lives and ministry. It can impact us as well in the twenty-first century. Next week, I will post more about this impact. Thank you for taking the time to read this blog. Please send any questions, suggestions or comments to me at bryan@harveyoaksbaptist.org or click the comment link or “Evaluation Form” link. Dietrich Bonhoeffer said that the meditation of God’s Word is essential for our ministry: “I will offend against my calling if I do not seek each day in prayer the word that my Lord wants me to say that day” (Meditating on the Word, 31). How true it is if we neglect the pondering of God’s Word. I am grateful for the response so far to this Bonhoeffer blog. The blog is off and running. I am trying to get it exposed to more and more of my fellow pastors and preachers. Even though Dietrich Bonhoeffer was executed on April 9, 1945, his words and life still impacts us. That is the theme of my thesis-project for my Doctor of Ministry degree through Gordon-Conwell Theological Seminary in South Hamilton, MA. My D.Min. track is called “The Preacher and the Message.” It is under the leadership of Dr. Haddon Robinson. Dietrich Bonhoeffer stressed the importance of Christian fellowship. Dietrich Bonhoeffer emphasized a non-compromising faith (costly grace). Dietrich Bonhoeffer stood against evil in society. Dietrich Bonhoeffer exemplifies serving Jesus in the severest of trials. Dietrich Bonhoeffer experienced the grace of living well and dying well. In the coming weeks, I will post one reason at a time. Your feedback is important to the completion of my D.Min. degree. You can e-mail at bryan@harveyoaksbaptist.org with any questions, comments or suggestions to make this blog better. You can also post a comment any time; or you can fill out the “Evaluation Form” above. Over a year ago, a friend and classmate in my Doctor of Ministry program at Gordon-Conwell Theological Seminary e-mailed me and asked me if I had Mark Devine’s book: “Bonhoeffer Speaks Today: Following Jesus at All Costs.” I e-mailed him back and told him that I did not. “Bonhoeffer has much to say to Bible-believing Christians in the twenty-first century” (17). That is the purpose of this blog about Dietrich Bonhoeffer. I want to get the word out about the impact he can have on our preaching, ministry and life. Yesterday, I posted the first of six ways, Bonhoeffer can impact us, namely his emphasis on meditating on the Word of God. 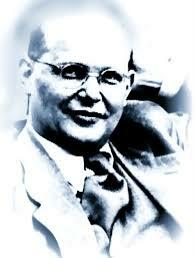 Bonhoeffer’s heart and mind was immersed with the scriptures because he meditated on them on a regular basis. He claimed that scripture meditation was vital for every pastor. What do you think about that? I would love to read your comments on this subject. Therefore, it is never sufficient simply to have read God’s Word. It must penetrate deep within us, dwell in us, like the Holy of Holies in the Sanctuary, so that we do not sin in thought, word or deed. Meditation on the scriptures is a biblical theme based on passages such as Joshua 1. As Joshua succeeded Moses and was about to lead Israel into the Promised Land, God said to him…“Do not let this Book of the Law depart from your mouth; meditate on it day and night, so that you may be careful to do everything written in it. Then you will be prosperous and successful. Have I not commanded you? Be strong and courageous. Do not be terrified; do not be discouraged, for the Lord your God will be with you wherever you go” (vs. 8-9). God made it clear to Joshua that success and obedience will grow out of meditation on God’s word. The original word is plural…Hence we may learn the multiplicity of the blessings which shall rest upon the man whom God hath justified, and the perfection and the greatness of the blessedness he shall enjoy. We might read it, “Oh, the blessedness!” and we may regard it…as joyful acclamation of the gracious man’s felicity. May the like benediction rest on us! Because I am Christian. Therefore, every day in which I do not penetrate more deeply into the knowledge of God’s Word in Holy Scripture is a lost day for me. Because I am a preacher of the Word. I cannot expound the Scripture for others if I do not let it speak daily to me. I will misuse the Word in my office as preacher if I do not continue to meditate upon it in prayer. Because I need a firm discipline of prayer. Bonhoeffer’s years of scripture meditation may have benefited him in his final years, months and days in prison. Even when he knew he would be executed, he continued to be characterized by joy and peace. Bonhoeffer’s outlook was witnessed by British officer Captain S. Payne Best. Best was captured by the Gestapo in 1939. They were fellow prisoners during Bonhoeffer’s final weeks. Best wrote that Bonhoeffer: “was all humility and sweetness; he always seemed to diffuse an atmosphere of happiness, of joy in the very smallest event in life, and a deep gratitude for the mere fact that he was alive…He was one of the very few men I have ever met to whom his God was real and ever close to him.“ In a letter to Bonhoeffer’s family, Captain Best wrote that “Bonhoeffer was different (from the other prisoners); just quite calm and normal, seemingly perfect at ease…his soul really shone in the dark desperation of our prison.” No doubt the promise of Psalm 1:1 was fulfilled. Bonhoeffer was blessed because be meditated on the word of the Lord day and night; and he was a tree planted by streams of water that yielded fruit (Psalm 1:3). Now what does this meditation involve? The word “meditation” in Hebrew means basically to speak or to mutter. When this is done in the heart, it is called musing or meditation. So meditating on the Word of God day and night means to speak to yourself the Word of God day and night and to speak to yourself about it—to mull it over, to ask questions about it and answer them from the Scripture itself, to ask yourself how this might apply to you and others, and to ponder its implications for life and church and culture and missions. One simple way to do this is to memorize a verse or two and then say them to yourself once, emphasizing the first word. Then say them to yourself again, emphasizing the second word. Then say them a third time, emphasizing the third word. And so on, over and over again, until you have meditated on the reason why each word is there. Then you can start asking relational questions. If this word is used, why is that word used? The possibilities of musing and pondering and meditating are endless. And always we pray as we ponder, asking for God’s help and light. In the same way that the word of a person who is dear to me follows me throughout the day, so the Word of Scripture should resonate and work within me ceaselessly. Just as you would not dissect and analyze the word spoken by someone dear to you, but would accept it just as it was said, so you should accept the Word of Scripture and ponder it in your heart as Mary did. That is all. That is meditation…Do not ask how you should tell it to others, but ask what it tells you! Then ponder this word in heart at length, until it is entirely within you and has taken possession of you. Dietrich Bonhoeffer, Meditating on the Word, (Nashville: Cowley Publications, 1986), 127-128. James Strong, The New Strong’s Exhaustive Concordance of the Bible (Nashville: Thomas Nelson Publishers, 1984), 32. The NET Bible: First Beta Edition (2001), 434. Matthew Henry, A Commentary on the Whole Bible: Volume Two (Old Tappen: Fleming H. Revell Company), 5. Charles Spurgeon, The Treasury of David, Volume One (Grand Rapids: Zondervan Publishing House, 1957), 1. Bonhoeffer, Meditating on the Word, 30-32. S. Payne Best, The Venlo Incident (London: Hutchinson and Co. LTD, 1950), 180. Quoted in Geffrey B. Kelly and F. Burton Nelson, eds., Dietrich Bonhoeffer: A Testament to Freedom, (San Fransico: HarperSanFrancisco, 1995), 43. John Piper, When I Don’t Desire God: How to Fight for Joy (Wheaton: Crossway Books, 2004), 125. Bonhoeffer, Meditating on the Word, 32-33. Douglas J. Rumford, Soul Shaping: Taking Care of Your Spiritual Life (Wheaton: Tyndale House Publishers, Inc., 1996), 252. As I stated on my first post on February 19, this blog is about the impact that Lutheran pastor, theologian and martyr, Dietrich Bonhoeffercan have preachers and pastors in the twenty-first century. This blog is important part of my thesis-project for my Doctor of Ministry degree through Gordon-Conwell Theological Seminary in South Hamilton, MA. One of the goals of this blog is to spread the word that the life and works of Dietrich Bonhoeffer can impact our ministries today. I especially want to spread this word throughout the evangelical world. I am an evangelical pastor in a Baptist Church. Another goal is to receive feedback in the coming weeks. The gathering of this information is important for the completion of my project-thesis. You notice that at the top of this page is a link called “Evaluation Form”. This is how you can offer feedback to this blog. Throughout this process, I will be reminding you to click that link and fill out the form. Dietrich Bonhoeffer placed a high premium on the meditation of the Scriptures. Dietrich Bonhoeffer stood against evil society. I will share the six reasons in six stages. Each stage will expand on the above statements. Tomorrow or Tuesday, I plan to post the first reason. For the past several weeks, I have been immersed in Dietrich Bonhoeffer. I hope you will find both his life and works fascinating. Perhaps, it will cause us to take a deeper look at him. I look forward to your feedback. You can always e-mail at bryan@harveyoaksbaptist.org if you have questions, concerns or comments. “Despite being incomplete, occasional, and fragments, Bonhoeffer’s writings continue to invite serious engagement by theologians, philosophers, psychologists, and political scientists. Thank you for responses so far to this blog. I have spent many hours in recent days working on it. I must say that WordPress is very easy to use. “Without question, in his life we are confronted with a follower of of Jesus prepared to die rather than abandon his Lord” (174). That is a great reason to study this man who gave his life to Jesus. I stated a couple of days ago that this blog was created to introduce six areas of impact that Lutheran pastor and theologian, Dietrich Bonhoeffer can have on twenty-first century preachers and preaching. This blog is part of my thesis-project for my Doctor of Minsitry degree through Gordon-Conwell Theological Seminary. Today, I am posting the first chapter to my thesis-project. This first chapter introduces the reasons why it is important to explore the impact of Bonhoeffer on the twenty-first century. Thank you in advance for reading this. If you have any questions or comments, please post them or e-mail at bryan@harveyoaksbaptist.org. “The subject of this thesis-project is to show the impact Dietrich Bonhoeffer can have on twenty-first century preacher’s view of the cost of discipleship and how that view influences their preaching. Ken Sande of Peacemaker Ministries writes that 1,500 pastors in America leave the ministry every week because of burnout, conflict or moral failure. That statistic indicates that the call to costly discipleship needs to be revisited. Bonhoeffer was a man who understood and truly lived a costly discipleship. 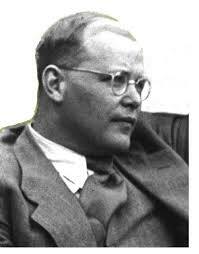 Bonhoeffer was born on February 6, 1906, in Breslau, Germany. He was a theologian, pastor, spiritual writer, and one of the key figures in the Protestant church’s resistance against Nazism. To many people, Dietrich Bonhoeffer is a spiritual hero. Two of his most popular works, The Cost of Discipleship (written in 1937) and Life Together (written in 1938) have been read and cherished by people for decades. My thesis will focus on the impact that Bonhoeffer can have on preachers and preaching in the twenty-first century. That is a valid quest even though there already is a wealth of published information about both the man and his works. According to the International Dietrich Bonhoeffer Society, there have been 18 publications about Bonhoeffer since 1990 and seven translated works of Bonhoeffer since 1997. The abundance of resources indicates not only our interest in him, but also the profound impact Bonhoeffer has already had on the church and world since his execution over 60 years ago. The life and works of Bonhoeffer have influenced both Christians and non-Christians. Countless pastors, Christian leaders and followers of Jesus would testify that Dietrich Bonhoeffer has impacted their lives and ministries. He already is a model for us. So is there room for another work about Bonhoeffer? I believe there is an important need for a work that will specifically focus on the influence that Bonhoeffer can have on contemporary preachers’ understanding of what discipleship costs. That influence on preachers will have a subsequent impact on the church through their preaching. There are six reasons why Bonhoeffer can impact preachers today. Second, he stressed the importance of Christian fellowship (or life in the Body of Jesus). To Bonhoeffer, we cannot be a follower of Jesus unless there is a devotion to one another in a fellowship of believers. A pastor is more than a preacher. He is also a member of the local body of Jesus. Third is what he referred to as “costly grace”. Bonhoeffer wrote that the greatest enemy of the church is “cheap grace” which is the very opposite of “costly grace.” Certainly, modern-day preachers must not only model a non-compromising faith, but they must also faithfully proclaim that theme from the pulpit. Fourth is the importance of calling God’s people to stand against evil in society. When Bonhoeffer’s fellow church leaders in Nazi Germany rallied to support Hitler and the Third Reich, he took a stand against Hitler. He also worked to get Jews out of the country. The “evils” we face are certainly different, but Bonhoeffer’s example still lives. As preachers, we can sometimes shrink away from the hard issues of the day, like abortion. Bonhoeffer’s example can encourage us to face these issues head-on. This courage will also mean that there will be more sermons that call God’s people to be the salt and the light in a dark world. Fifth, he exemplifies what it means to serve Jesus even in the severest of trials. Bonhoeffer took a stand for Jesus in a society that wanted to be great without acknowledging God. Even when he had opportunities to escape Germany for a safer place, Bonhoeffer decided to remain. In 1939, his American friends got Bonhoeffer out of Germany, and they urged him to stay and wait out the war in America. But he refused. He could not comprehend rebuilding the church in Germany after the war unless he suffered along with his brothers and sisters in Jesus during the war. Bonhoeffer’s fire-tested faith is an example for preachers today, regardless of the various trials we face. The fire-tested faith of a preacher will, no doubt, carry over into the pulpit. A sixth reason why Dietrich Bonhoeffer can impact twenty-first century preachers and preaching is his grace of living well and dying well. He did more than write about the cost that is involved in following Jesus. He lived it. Even as he risked his life opposing Nazi tyranny, he was characterized by a Christ-like character. He cared more for other people than himself. In prison, waiting for his execution, he was calm. He knew at this point that his days were numbered. Yet, one fellow prisoner remarked “Bonhoeffer was all humility and sweetness.” Another reported that “his eyes were quite unnatural.” As a prisoner, Bonhoeffer often ministered to and encouraged those who were distraught. On April 9, 1945, he was put to death by the S.S. Black Guard at the Flossenburg concentration camp. The day before, he led a worship service for his fellow prisoners, and according to one officer, Bonhoeffer said just the right words to encourage their hearts. He died the next day with dignity and calmness. Thus, to the very end, he lived for the glory of the Lord Jesus. These are six of the many reasons why Dietrich Bonhoeffer can impact preachers and preaching in this century. One may wonder whether or not the Nazi Germany context of Dietrich Bonhoeffer can relate to our own context in the Twenty-first century. Can he really make a difference in the life and ministry of a pastor in America where there is a much safer context to proclaim the Word of God? I believe that theses six reasons speak louder because of the historical context of Bonhoeffer. He realized that even before Hitler took power, Germany was on her way towards a society that would eventually focus more on man than God. A similar principle of self-sufficiency exists today in America. A call for a costly discipleship is just as important today as it was in Germany in the 1930’s. Bonhoeffer’s relevance for twenty-first century preachers and preaching is strengthened, I believe, by the ability he possessed to clearly see how the church can be weakened by compromise. The church in Germany allowed herself to be eroded by National Socialism. As the church became weak in faith and in character, Bonhoeffer would not be fooled. There was no room for the followers of Jesus to possess a “cheap grace” because it was the greatest enemy of the church. The cross of Jesus Christ demands a costly grace in his followers. Grace is “costly” because it cost men and women their very lives. And it is “grace” because grace is vital for Christ’s followers to live for him. Dietrich Bonhoeffer, Life Together, 90. S. Payne Best, The Venlo Incident (London: Hutchison and Co., LTD, 1950), 180. G. Leibholz in the Memoir in the Cost of Discipleship, 21. Is Dietrich Bonhoeffer Relevant for Twenty-First Century Preachers? Recently, I chatted with two men at Panera Bread in Omaha, Nebraska. They both saw my backpack and small luggage bag filled with Bonhoeffer books. One man made the comment that I must be moving. I told them that they were full of books for my thesis-project. One asked what my thesis was about, and I answered, “The impact of Dietrich Bonhoeffer on twenty-first century preaching.” By their blank stares, I realized that both men probably did not know who Dietrich Bonhoeffer was, so for the next minutes, I explained who he was. Dietrich Bonhoeffer may not be classified a myth, yet there are many within the church who either know very little about him or they are unaware of his contributions to the evangelical church since his execution in 1945. I stand before you this morning with a belly full of healthy anger-anger over the weirdoes who have hijacked our man Bonhoeffer. Because of Bonhoeffer’s jailhouse musings about “religionless Christianity,” they have turned Bonhoeffer, a confessional Lutheran, into just about everything he was not-a theological liberal, a deconstructionist, a radical, a leftist. They portrayed him as the apostle of Christian atheism; as the father of the “God is dead” movement; as a revolutionary. Never mind that to him the term “religion”-in contrast to faith-meant of self-actualization and self-justification. Never mind that “whatever he meant by ‘religionless Christianity,’ he certainly did not think it eclipsed the need for prayer, worship and sacrament,” as Stephen R. Haynes writes in his recent book The Bonhoeffer Phenomenon. This blog is created for the purpose of describing the impact that Bonhoeffer can have on twenty-first century pastors and preachers. Over the next few days, I will share more on who Dietrich Bonhoeffer is. Plus, I will post the six areas where Bonhoeffer can make an impact on us. Please contact me if you have any suggestions or questions or comments. You can post a reply to this post or e-mail me at bryan@harveyoaksbaptist.org. I attended Bethel College (now known as Bethel University) in St. Paul, MN from from 1977 to 1981. It was in one my Bible classes where I first learned of Dietrich Bonhoeffer. During those years, I was exposed to two of his books: Life Together and The Cost of Discipleship. Since then, I have been fascinated with this Lutheran pastor and theologian who stood up for Jesus in Nazi Germany.